A tame red fox from the breeding program at the Institute of Cytology and Genetics of the Russian Academy of Sciences in Novosibirsk, Russia. Image: Irina Pivovarova. Although foxes look cuddly, these wild animals are equipped with sharp bites—and temperaments to match. Fear not, however, if you’re dying to get close to theses fluffy foxes: a nearly 60-year-old experiment has produced a line of them that are friendly enough to pet. The process of creating these tame foxes mirrors the way dogs are thought to have been domesticated from their wild wolf ancestors. 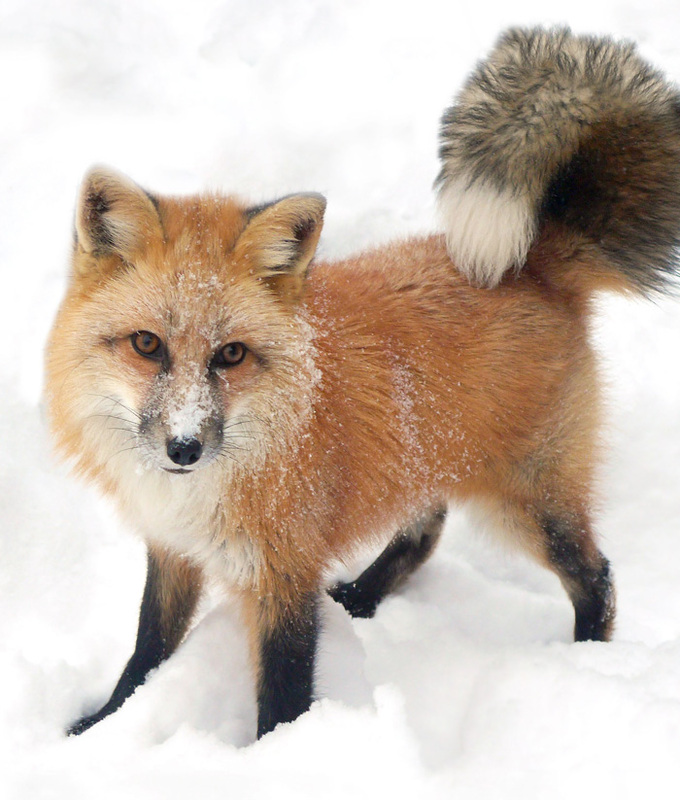 These friendly foxes have altered hormone balances, and many of them have dog-like changes in appearance, such as white spotting and curled tails. In a report published in G3: Genes|Genomes|Genetics, Hekman et al. delve into the genetics of these tame foxes, taking a detailed look at their brains. The tame foxes are the result of a famous experiment started at the Institute of Cytology and Genetics in Siberia, in which the animals were selectively bred for traits like agreeability. For comparison, a line of more aggressive foxes was also bred so that differences between the two groups could illuminate the usually slow processes of domestication. Levels of the stress hormone cortisol are much lower in the blood of tame foxes than in the aggressive animals. “The question that was really driving me was: What’s different in the brain?” says Jessica Hekman, lead author of the study. Hekman and her colleagues used RNA sequencing to measure gene expression in the pituitary glands of tame and aggressive foxes. They were interested in the pituitary because it is vital in coordinating the release of many hormones—including cortisol. The researchers found that genes related to exocytosis were differentially expressed, which suggests the cells could be secreting neurotransmitters and hormones to the blood differently in the two lines. Given the differing levels of blood cortisol observed, this wasn’t all that surprising. Some other differentially expressed genes were more unexpected, however. “I kept finding a bunch of genes related to pseudopodia, which was a huge surprise,” Hekman recalls. Pseudopodia are cellular protrusions best known for driving movement in single-celled organisms—think of how an amoeba moves by extending its cellular membrane. Cells in the brain aren’t mobile in the same sense, but pituitary cells use pseudopodia to coordinate with each other and move closer to blood vessels for hormone release. This study suggests that pseudopodia function differently in the pituitary glands of tame foxes than in aggressive ones. Hekman explains that this makes a lot of sense because tame and aggressive foxes actually produce similar amounts of hormones in the pituitary gland—the critical difference is in the amount that is released into the bloodstream. Hekman is optimistic that a better understanding of these differences in foxes might reveal more about what’s going on in aggressive pets. A better understanding of the biological underpinnings of aggression could even have implications for the development of behavioral medication in the future. “It’s a correlational study; it’s a first step,” says Hekman, “The next step is to get living cells and put them through functional tests.” Though the study is an early investigation, it opens doors for future work that might point toward a pill for your pugnacious pup.